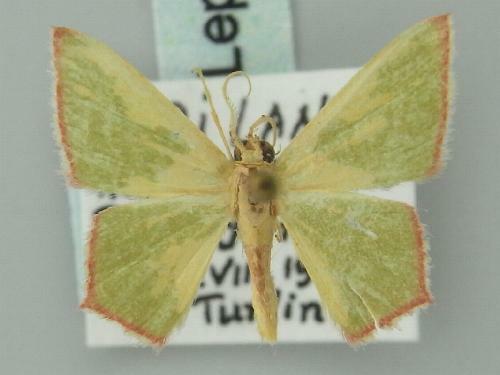 The adult moths are green, with brown margins to the wings. There is a sharp angle halfway along the margin of each hindwing. The wingspan is about 2 cms. Volume 9, Part 9 (1857), p. 386, No. 618.